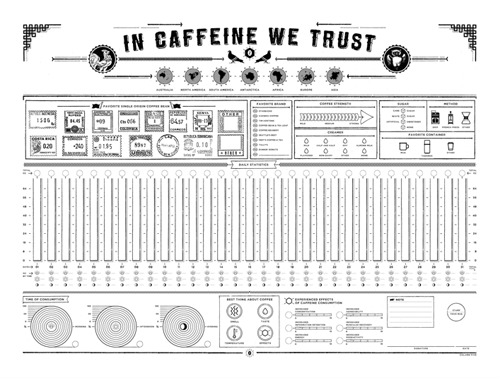 “in caffeine we trust”. 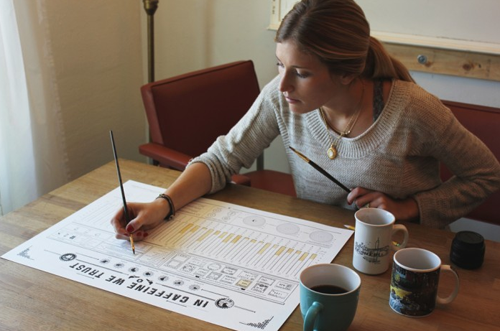 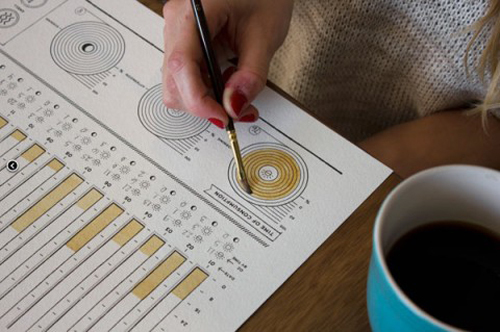 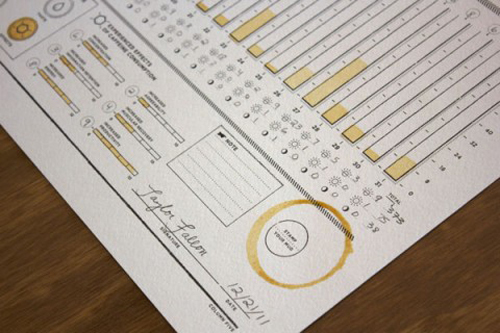 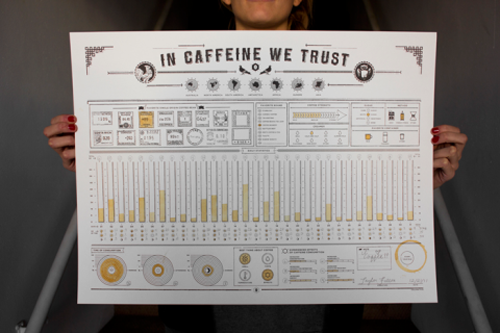 the poster lets you track your monthly coffee consumption on a beautifully designed print. 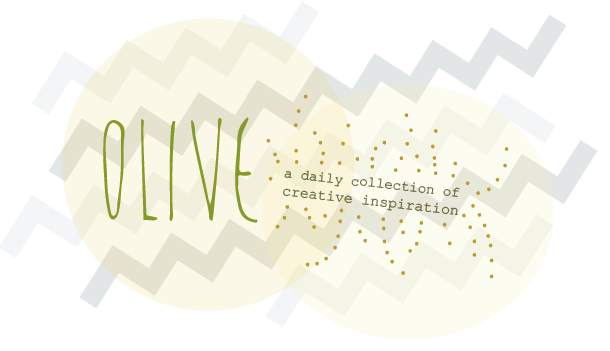 created by column five.